The second book in the WinterNight Trilogy begins with Vasya, a free-spirited daughter of the Northern country lord, being accused as a witch in her homeland. With no place to stay and kith and kin slain, she decides to embark on a journey across Russia in the bitterly cold winter with the blessings of the Frost God, Morozko. Vasya's journey turns out to be an adventure filled with adversities. As she journeys towards Moscow, she finds out that Rus is going through a very tough time and the nature spirits are fading. There is a subtle meaning that whatever the circumstances are, nature has to be attended to. The Domovoi in the oven, the night spirits, the fire spirits or the horse spirits, may have been called Pagan, but the underlying truth is that if we do not care for nature, we will have to face the consequences. All the nature spirits are fading because an evil force is in the awakening. When she reaches Moscow, Vasya is star stuck with the city's marvel. With its beautiful buildings and churches, the bustling streets, horse races, bathhouses, and eateries, Moscow comes alive with its lavishness and luxury. But despite her near and dear and the Frost God Morozko by her side, Vasya has to call upon her inner strengths to save what matters to her the most when evil comes knocking on Moscow's door. 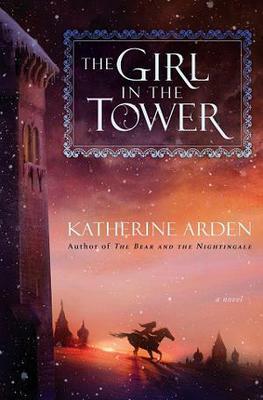 To summarize, if The Bear and the Nightingale was good, The Girl in the Tower is brilliant. I hope that Book 3, The Winter Witch, will end with the much-anticipated grand finale for this magnificent tale. I cannot wait to see how the trilogy ends.